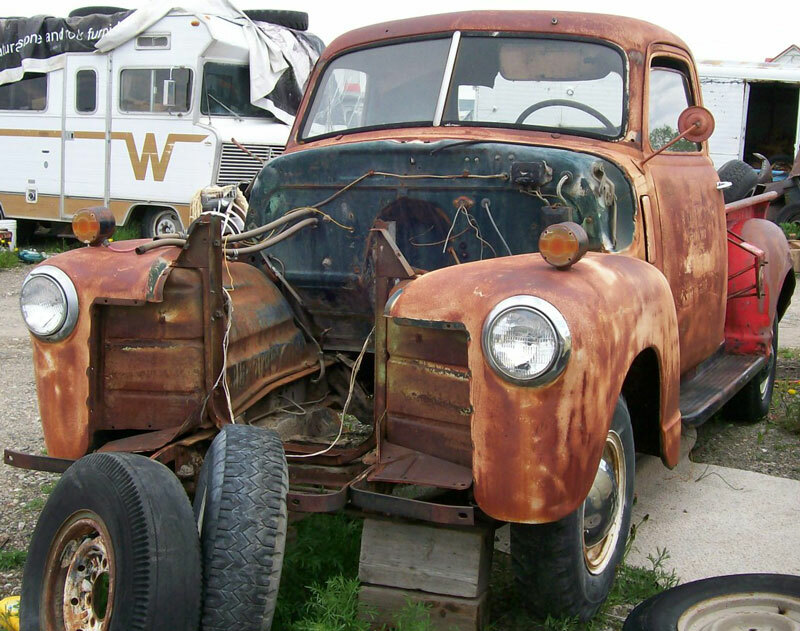 This Wendgor blue 1948 Chevrolet Model FP Series 3100 1/2 ton pickup truck is a partially-complete body and chassis ready for restoration or customization. The truck was a commercial truck for a concrete company in Manhattan Montana. The body has solid and dry western desert sheet metal. There is no grill, hood, tailgate and bumpers. The right front and rear fenders are dented. The left rear fender has some dents and scraps. The running board edges are dented. The right running board splash panel is damaged. There are some bolt holes in the back of the cab and in the body. The truck has a left side box spare mount. There are bar brackets on the right front side of the box to store a hose. The seat is not stock. The dash and gauges are all there. There is an add-on dash cigarette lighter with no lighter. The floors are solid. 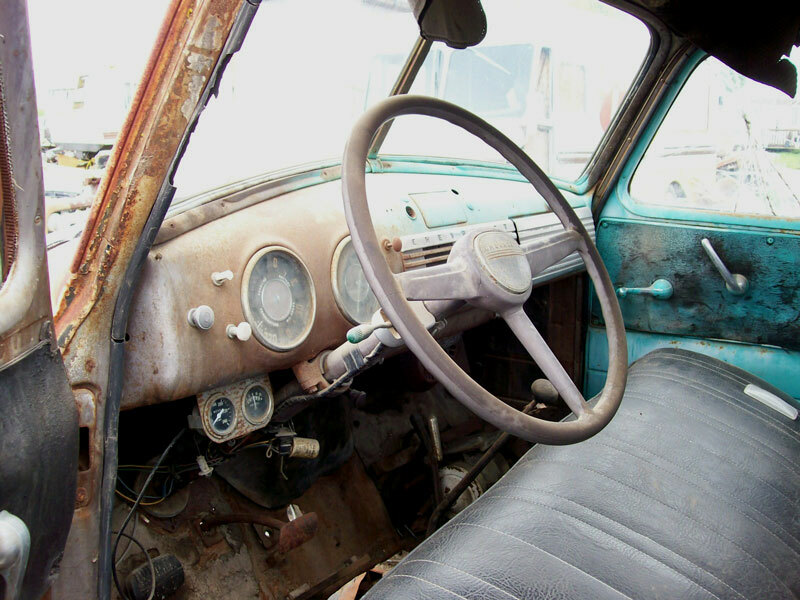 There are under-dash add-on gauges and steering column-mounted turn signals. The 216 CID OHV 90 HP inline six cylinder motor, bell housing and clutch and radiator are missing. 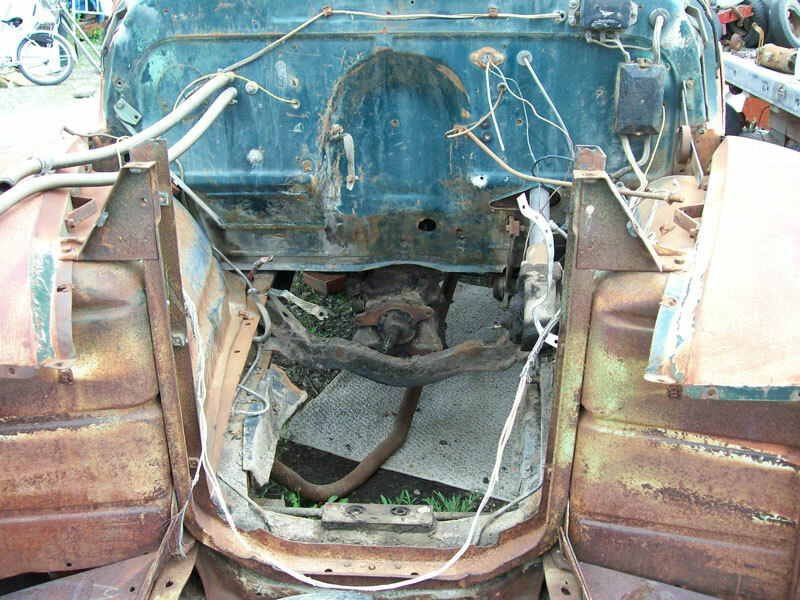 The original 4 speed manual floor shift transmission is there. Here is your chance to restore or customize a 48 Chevy pickup. 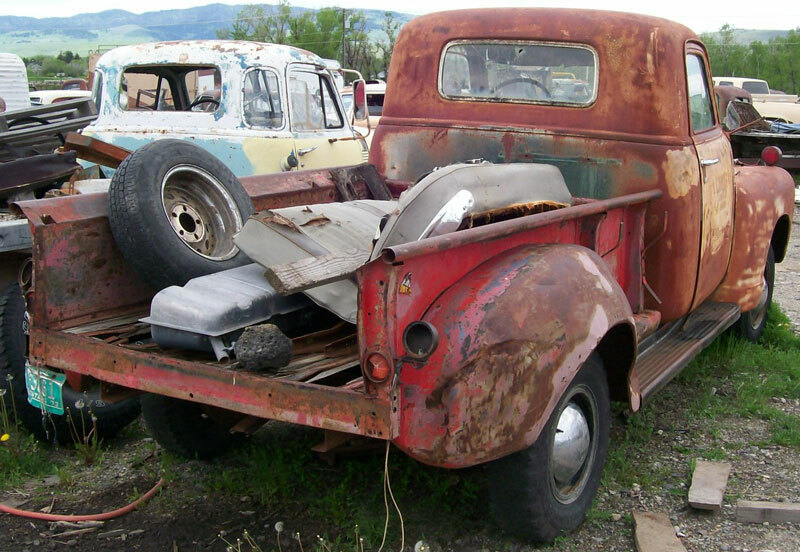 Please call (406) 318-0270 for details about this restorable classic 1948 Chevrolet project truck. For sale $2,000.